The Mattress Genie bed wedge is like no other wedge on the market! Use it between the box spring and mattress of your bed (works with practically any mattress, futon, etc.) to raise and lower the upper portion of the mattress. Sound familiar? it’s just like the action of an adjustable bed. Of course, it costs less than $200, so you won’t go broke. 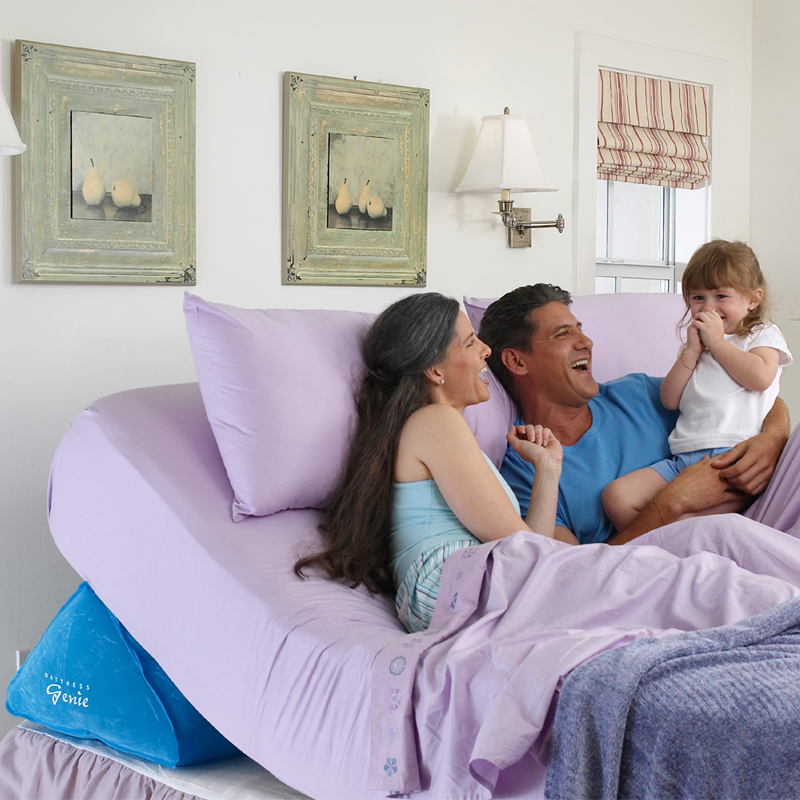 The Mattress Genie wedge works just like an adjustable or hospital bed. Unlike a foam wedge, stacked pillows, etc., it is raised and lowered via the included air pump and is handily reached by the remote control. Learn more about this innovative bed wedge now, or click below to buy from our secure store. 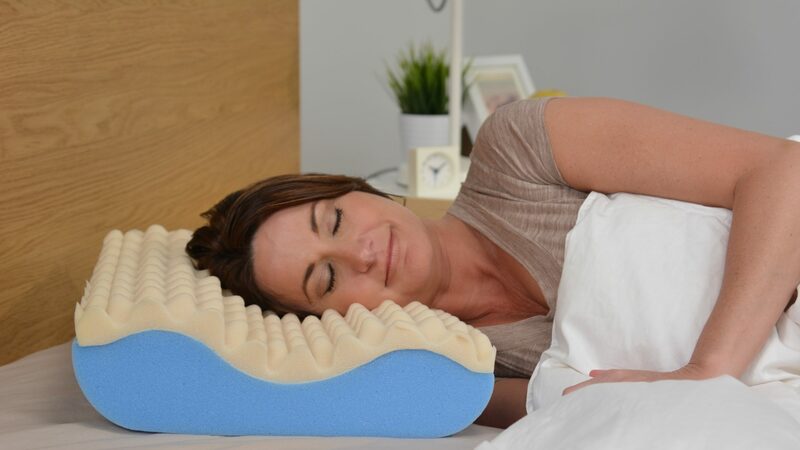 Just like a wedge cushion or wedge pillow, the Mattress Genie raises your upper mattress for increased comfort during sleep. 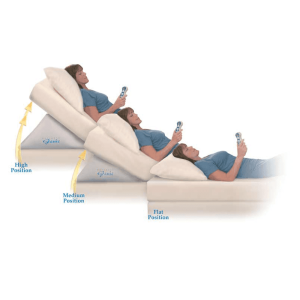 Unlike any wedge pillow or cushion, you get the full convenience of an adjustable bed, so you can raise or lower your mattress quickly and easily with the included remote control. Plus, you can adjust your mattress to the elevation that best suits your needs. Priced competitively with bed wedges, you’ll love the extra value you’ll receive with the Mattress Genie. 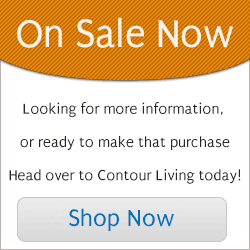 This universal wedge bed lift, exclusively from Contour Products, Inc., transforms your mattress into an adjustable bed for a fraction of the cost of a mechanical adjustable bed. Many adjustable beds cost $1500 TO $3000 or more. Now you can have the same benefits and versatility without the high cost. Simulates the movement of an adjustable bed, for many hundreds less!